Preheat your Yoder Smokers YS640 to 425ºF. 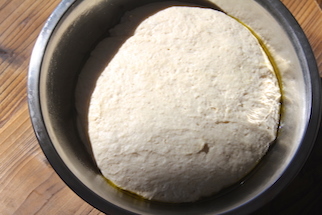 Roll one of the dough balls out to the size of the PizzaCraft Large Calzone Press. Dust the press with flour. 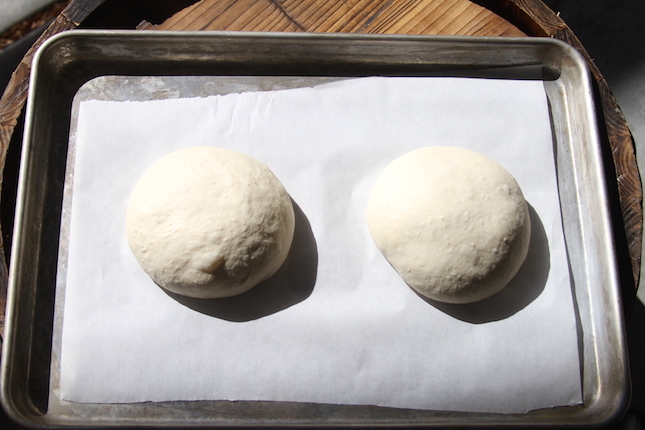 Lay the dough over the top. 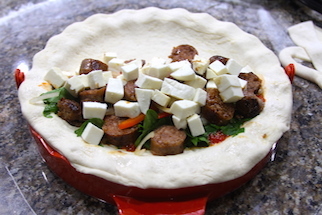 Fill the dough with 1/2 of the filling ingredients (or desired amount); pizza sauce, Sausage Italiano, onion, peppers, spinach and mozzarella. 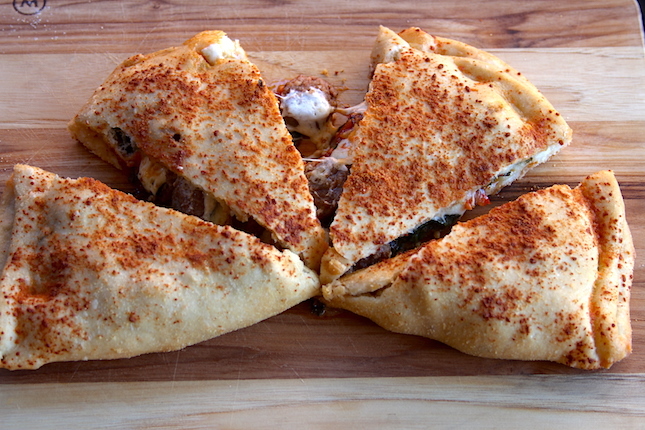 Give the filling a dusting of Cattleman’s Grill Italiano Seasoning. Brush the edge of the dough with water. Press calzone closed. 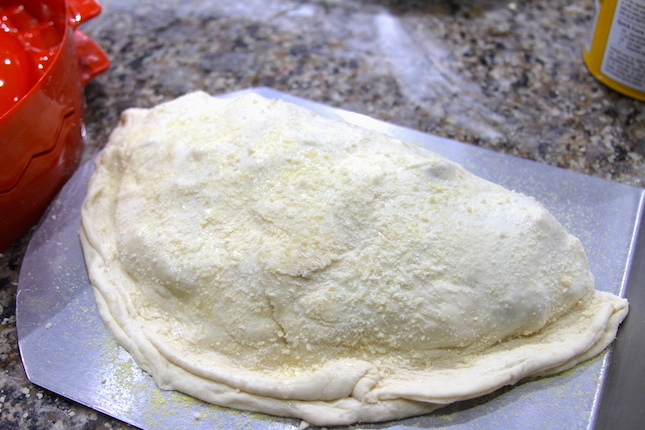 Flip calzone out of the press and onto a PizzaCraft Stainless Steel Folding Pizza Peel dusted with cornmeal. 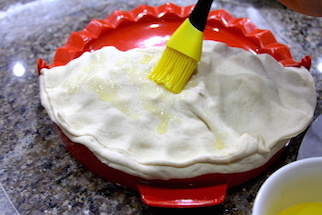 Brush the top of the calzone with melted clarified butter (can substitute oil), using a silicon brush like the Charcoal Companion Stainless Steel Silicon Brush. Sprinkle the parmesan over the oil. 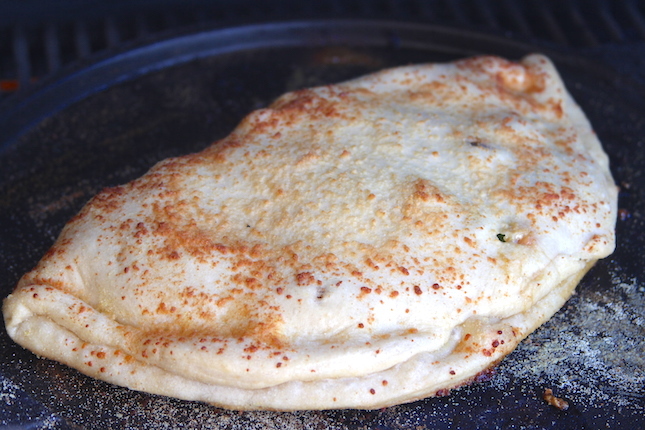 Bake the calzone on a PizzaCraft 14″ Cast Iron Pizza Pan, for about 30 minutes, until the crust is golden brown, and cooked through. Combine all ingredients in a stand mixer. 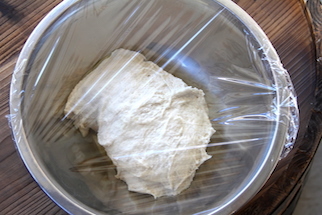 Mix until all flour is incorporated, then a minute longer. Place in an oiled bowl. Let rise until doubled in size. Divide in 2 pieces. Roll into balls. Let rest in refrigerator at least thirty minutes before stretching/rolling. Combine ingredients. Bring to a simmer. Simmer 10 minutes. Taste and adjust seasoning. Combine ingredients and mix thoroughly. Grind meat mixture with a coarse plate. Grind the mixture again, with the same sized plate. Transfer mixture to a stand mixer with the paddle attachment. Mix on medium for about one minute, until the mixture becomes tacky and holds together well. Stuff sausage into casings for links, or use in bulk form. Cook to internal temperature of 165ºF (check the temperature using an instant read thermometer like the Maverick PT-100).